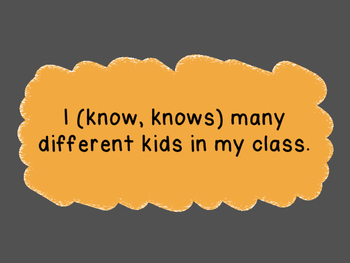 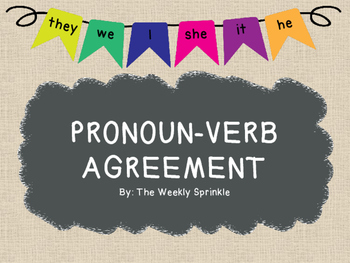 This is an interactive pdf/ppt to practice pronoun-verb agreement. 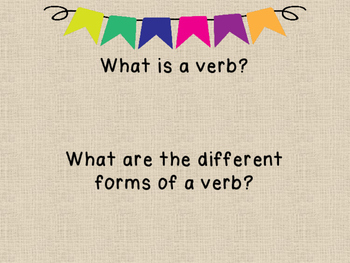 There are three intro pages where the kids review verbs and pronouns either in discussion or writing. 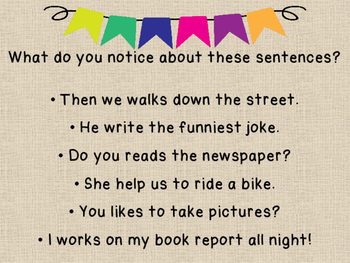 Then there are 21 pages of sentences in three formats: cloze format, fill in the blank, and editing.